Temperatures have finally started to fall and the spooky spirits are finally starting to descend on Indianapolis! No matter how skittish you and your friends might be, there's a haunt around town that's perfect for you. Or, if you think you're one of the bravest, there's still something for you to enjoy. If you want actor interaction or other attractions as part of your haunted experience, Indianapolis has you covered with a plethora of options for each scare factor and price point. By all means, if the youngsters of your family are into a scare, take them to The Children's Museum of Indianapolis' Annual Haunted House. This year's theme: The Grim-nasium. The Children's Museum of Indianapolis has been hosting haunted house as a fundraiser for the museum's programming since 1964 and has raised over $12 million since its inception. With lights-on times for the youngest visitors and "frightening hours" for those kids and adults who "dare to be scared." Tickets start at $8 and do not include museum admission. Wanna Go on a Hayride? Does fall in Indiana to you mean haunts AND hayrides? The Indiana Fear Farm is not to be missed! Located just west of Indianapolis in rural Boone County, the Indiana Fear Farm has been scaring crowds for 17 years. The 20-minute hayride, equipped with high-quality sound, actors, and stunts is sure to leave you scared...and impressed! Also included is a trip to the Slaughter Barn, not suggested for those 8 & under or suffering from heart conditions. 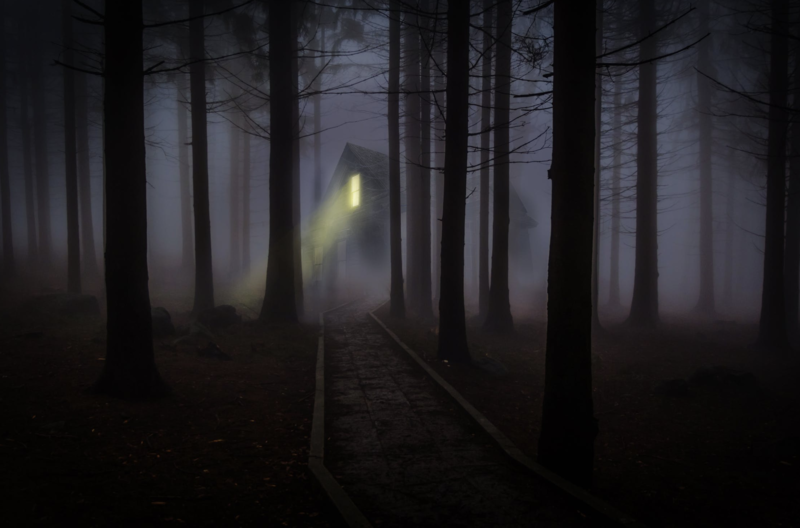 Do you have what it takes to venture out into the rural dark forest to see what awaits you? Combined tickets start at $22 & $24 with various discounts available. Interested in a Festival Experience? If you've got a family or group that wants more than the traditional haunted house experience, take them to the Headless Horseman at Conner Prairie. This annual Halloween festival is full of all kinds of surprises - not including the Headless Horseman that you might find on the hayride. Enjoy a corn maze, pumpkin bowling, hot air balloon rides (additional charge), spooky storytelling, and Headless Horseman brew from Sun King Brewing. Tickets start at $17. You’ll want to check out an indoor experience like House of Trepidation! Located just south of downtown Indy, this indoor attraction covers 20,000 square feet with three attractions. Suggested for ages 13+, this haunt is wheelchair accessible and offers a flashlight tour (if you'd like) during the first 30 minutes of each evening they're open. This particular haunt offers you a storyline to follow as you go through, so each attraction continues to move you through the story of Dr. Belle. Tickets start at $25. Considered "Indy's Most Intense Haunt," you won't want to miss Nightmare on Edgewood. On Indianapolis' southside, lies one of Indianapolis' oldest haunted attractions. For 40 years, Nightmare on Edgewood has been terrorizing guests in new and exciting ways. Aside from the THREE attractions on the premises, you can also enjoy a brand new and custom built escape room called "Escape the Nightmare" for an additional $5. Considered interactive (yes, you'll be touched), this haunt has stairs, outdoor scenes, strobe lights, smoke, and other characteristics that make it extremely scary. Leave the kiddos at home if you're heading to this nightmare. Tickets start at $20. Give yourself (and/or your kids) a good fright this Halloween season with a stop at one of these haunted attractions. Happy Halloween!